Just got back from vacation in Ireland! It was such a blast, but I need some recovery time. Post coming soon! I posted on my Instagram (@bellylaughsblog) a photo of an avocado toast that is delicious and thought maybe I should stick it officially on the web. 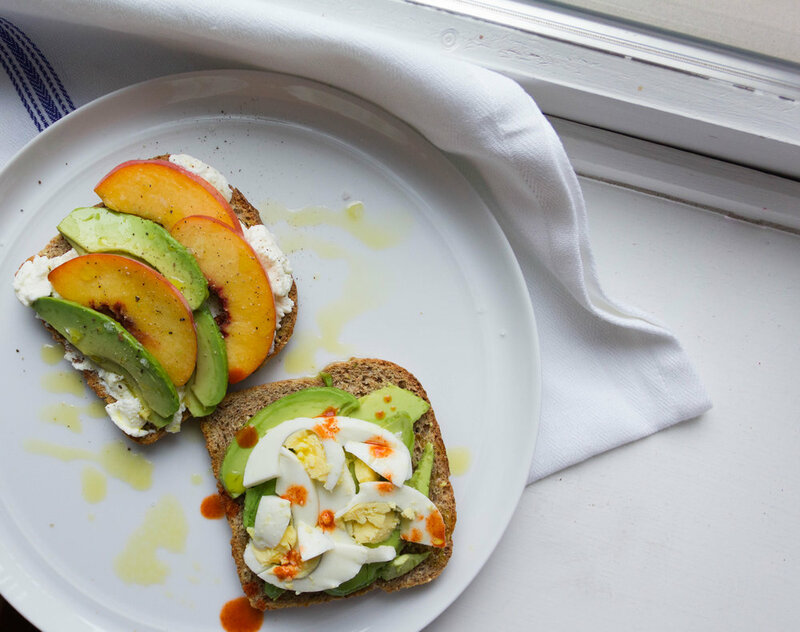 So here are some super quick and easy recipes for avocado toasts... one slightly sweet and one a touch more savory. Avocados have a higher fiber count than other fruits and also contain 4 grams of protein. Avocado is one of those fruits that doesn't ripen on the vine. It needs to be picked before it can reach full ripeness. Because most avocados arrive at the grocery store still hard as a rock, it's recommended that you ripen avocados in a paper bag with an apple or banana for two to three days. Avocado farmers do not recommend this method but you can ripen avocados faster by wrapping the whole avocado in tin foil then bake in a 200*F oven for 60 mins. Allow to cool completely before slicing open and using.